The SylvanSport GO is a folding pop-up camper like you’ve never seen it before! 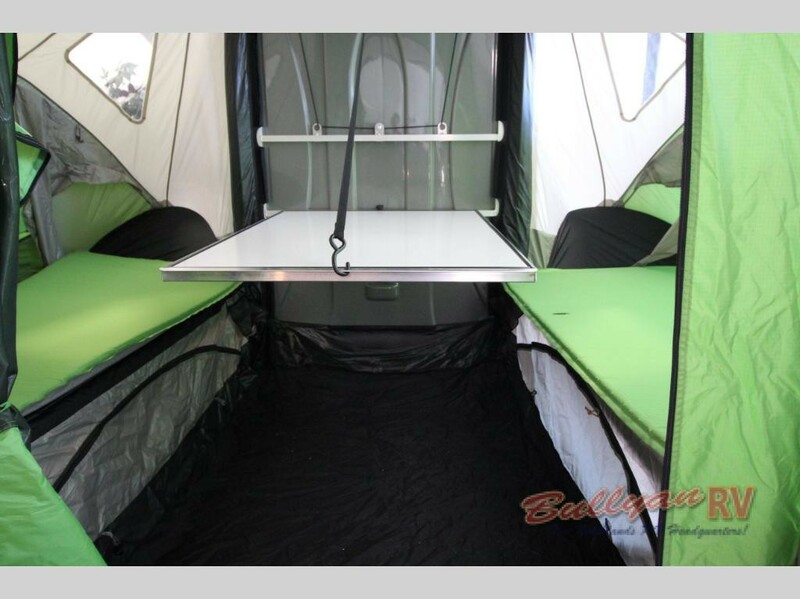 A true masterpiece in camping ingenuity, the SylvanSport GO folding camper is often known as the Swiss Army Knife of camping trailers, and it easily lives up to that title with amazingly versatile features that make it the perfect choice for those who want just a little more luxury than tent camping can offer. Designed to be towed by even the smallest vehicles, the SylvanSport GO is even tow-rated for hybrid vehicles that are traditionally not able to tow anything. This on top of its compact and well-optimized layout makes it the kind of camper that you can love year-round. 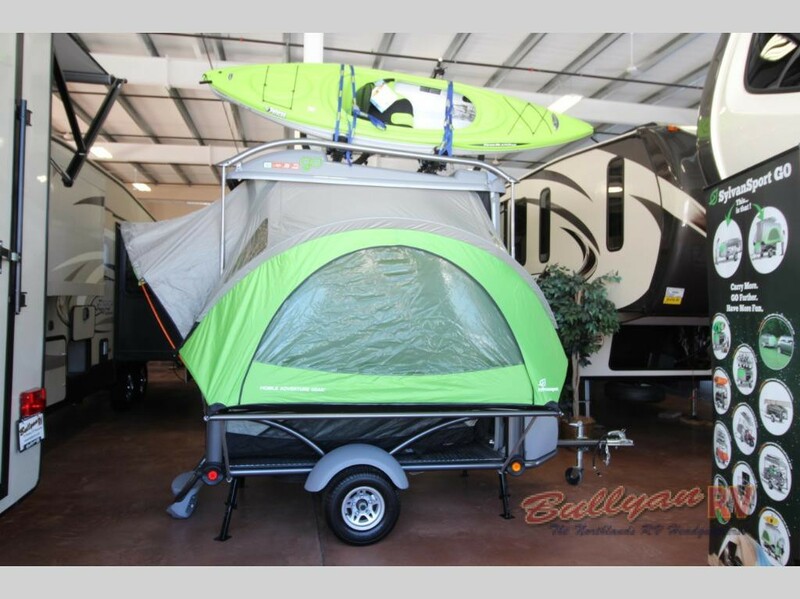 Here are just a few of our favorite things about this pop-up in our new SylvanSport GO Folding Pop-up Camper Review. You will love the SylvanSport GO. Tent camping can be a pain, but if you love the outdoors, you are often willing to put up with that pain. 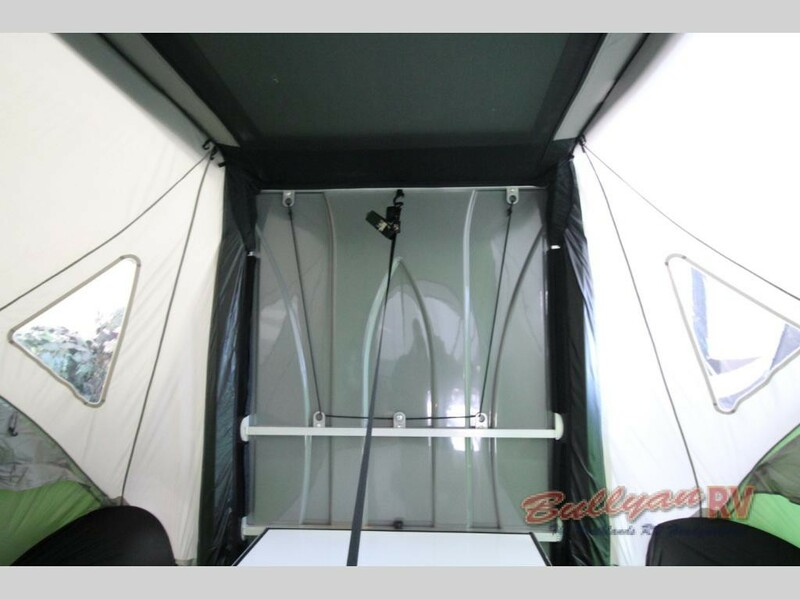 The SylvanSport GO takes that pain away by making it easy for you to set up and put away when the trip is over. Plenty of SylvanSport GO Storage. The SylvanSport GO is more than just a tent-on-wheels, it’s also a trailer for you to bring along all of your favorite gear. Have some mountain bikes that you want to bring along? Pack them on and then, when you get to your favorite location, take them off and pop the camper up. It’s that easy! Enjoy the outstanding SylvanSport GO Interior. You won’t get these kinds of amenities in a tent! From pull-down tables to extra bench seating, to comfortable raised beds, the SylvanSport GO really can make the most out of your trip while still letting you feel connected with nature. There is truly nothing else like the SylvanSport GO on the market today, so do not hesitate to come by and check out the outstanding SylvanSport GO floorplans here at Bullyan RV. Contact us with any questions about how we can help get you into one of these amazing RVs today!